When my kids were small, I could always tell when they were sick just by looking into their eyes. This wasn’t because I have special powers; I don’t. We are all able to read the faces of the people we know, love, or see on a regular basis. But what about strangers or people we’ve just met? Is there a way to know a little bit more about them just by looking at their face? The answer is yes—to an extent—and here’s why: When you are very young, your face is like an open book. The skin on your face is smooth and unlined. 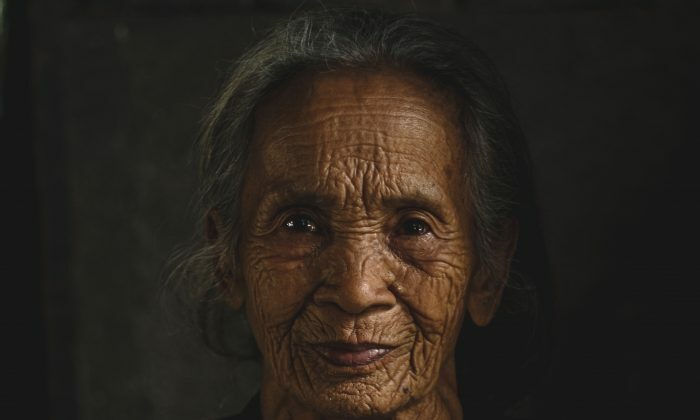 However, as you age your face begins to settle into the expressions you make frequently, so wrinkles and other characteristics form based on your most common emotions and expressions. The Chinese say that as a child you have the face you were given, but over time you have the face you have earned. Knowing that over time your personality, and even your health, is reflected in your face, here are some tips that you can use to better understand people using facial clues. There is a saying that your eyes are the window to your soul, and in Chinese medicine, the eyes are considered to be the most telling feature on your face. your spirit. The shen resides in your heart and is the home to your emotions. When you look into someone’s eyes, you see that they can be very direct, lively, humorous, dreamy, evasive, and even seductive. They can sparkle and snap, or they can be dull and lifeless. Furthermore, looking at the positioning and size of one’s eyes can help determine the openness of their heart. For example, people with small, squinty eyes tend to be very private and hide their emotions well. In contrast, people with large open eyes are also emotionally open, and may even overshare their feelings. People with deep-set eyes, (set deeper than the brow bone) tend to be introverts. They are able to be social but need to recharge their emotional batteries by spending time alone. Those with eyes that are set more forward (in line with the brow bone) are considered to be extroverts. They are fueled by having many friends and acquaintances and are recharged by being around a lot of people. While a complete discussion on facial shapes is beyond the scope of this article, in general people with broad faces tend to be more extroverted, and those with narrow faces are more introverted. In addition, in terms of trustworthiness, people who hide part of their face, through bangs, long hair, beards, mustaches, etc., appear less trustworthy. After all, you can’t see part of their face and have to wonder what they’re hiding. In contrast, people with round faces appear outgoing, trustworthy, and open. Similar to a round face, people with an oval-shaped face also appear as kind and social, but not quite as outgoing as those with a round face. People with a square or rectangular face tend to have a strong personality and make good managers or leaders. Those who have a triangular appearance, with a strong, wide forehead tend to be intelligent with unique and often contrary ideas. Your most common facial expressions help create an emotional map of your face, and those expressions leave their mark in wrinkles and lines. I have been told that I am incredibly impatient, which I know to be true by the vertical line between my eyebrows, called a sword. One or two swords between your eyebrows indicate that you can be irritable, angry, and become annoyed frequently. When those lines drop below your eyebrows, toward the top of your nose, they become a sign of worry. The lines that go out from the outer corner of the eyes (also called crow’s feet) give us important emotional clues. Crow’s feet that emanate upward are considered to be signs of joy and happiness and come from smiling and laughing frequently. Lines that turn downward from the outer corner of your eyes convey sadness. If the lines are very long, they are considered to be a sign of deep sorrow. Horizontal lines above your eyebrows come from a good measure of skepticism, from raising your eyebrows frequently and thinking, “Really?” Lines around your mouth are related to nurturing and being nurtured. Vertical lines above the upper lip indicate that you have been spending a lot of time nurturing others and need to devote some time to nurturing yourself. Vertical lines below the lower lip may indicate bitterness or disappointment. In addition, lines that turn down from the corners of your mouth also indicate disappointment. For much more detailed information on Chinese face reading, I recommend the book, “Face Reading in Chinese Medicine,” by Lillian Bridges. I have also had the pleasure of meeting Lillian and hearing her speak on this topic and find her information incredibly nuanced and accurate. Red is an indication of heat, either in the face or elsewhere in the body. A face that’s red all over indicates an excess of heat in the body. Red cheeks suggest an imbalance between yin and yang, in which cooling, nourishing yin is depleted, and warm yang is rising upward. This is common in menopause, but can also appear in other conditions such as migraines, insomnia, and night sweats. Red, broken capillaries, acne, and rosacea are signs that the heat is deep within your body. A pale complexion is almost always a sign of some kind of depletion. Some possibilities are depleted blood, qi (energy), or yang. A complete Chinese diagnosis would take into account other signs, such as poor energy, feeling cold, dry brittle hair and nails, dry skin, and feeling lightheaded. Blue or purple are colors associated with stagnation. Like a bruise, blue and purple indicate that flow has been blocked somewhere in your body, and may involve any of your internal organs or blood vessels. Again, this is a condition that would need complete diagnosis by a practitioner of Chinese medicine. A greenish hue to your complexion is fairly rare and frequently indicates some kind of imbalance with your liver or gallbladder. A yellowish cast to your skin or yellow sclera of your eyes indicates jaundice, considered to be a liver and gallbladder condition. A gray complexion is an indication of significant illness. If you experience a change in your facial color, especially green, yellow, or gray, it’s important to see a Western medical doctor to rule out any serious illnesses. Whether it’s determining if your kid is sick or how open or introverted your new employee is, Chinese face reading can give you some important clues into the emotional makeup and personality of the people around you.